Drop of the puck, pitter, patter, let’s get at ’er! That’s a phrase coined by Regan Bartel, the play-by-play voice of the WHL’s Kelowna Rockets. If you’ve listened to Bartel’s call from the start of a game, any game, you’ve heard that signature line. With the puck dropping on a new NHL season last night, I’ve decided it’s time to fire up the Facing Off column again. Yes, the offseason is officially over. Finally. And, in case you missed it yesterday, I published my official preseason predictions — complete with divisional standings, playoffs, Stanley Cup champion, draft lottery order and initial power rankings. For those unfamiliar with Facing Off or in need of a refresher — we’ve been inactive since the end of May, taking some downtime to enjoy the summer months — this column started in August of 2015 as a weekly debate of hockey’s hottest topics. Andrew Bensch was my wingman for the first few months before developing a rotation of four regular contributors — Andrew Forbes, Félix Sicard, Sebastian Noble and Dan Mount — along with several guest contributors. We continued the debate format on a weekly basis, sometimes with a roundtable approach, to hit on five hot topics every Monday morning. It worked well and people (apparently) looked forward to it, but we noticed some of the topics would be lukewarm by Monday, so we began debating individual topics at their boiling point or just as they were heating up. Then Facing Off cooled off — well, went ice cold — for the summer, but now we’re back in action. Picking up where we left off, with this the 92nd edition counting our 10 podcast episodes. I’m flying solo for today and may do so at times this season — weighing in on several quick-hitter topics similar to Elliotte Friedman’s 31 Thoughts column, albeit with far less insider information. The Facing Off podcasts will hopefully be bi-weekly, featuring Forbes and Sicard, among others. The debate columns will now be sporadic rather than sticking to a schedule, more so when the mood strikes and as time permits with our respective commitments. Unfortunately, THW isn’t our full-time gig yet and, believe it or not, we do have wives (or partners) and social lives. Some of us even play beer-league hockey! As for the real hockey — the only hockey our readers care about — it got going in earnest last night and here are some of my hot takes to start the season. Watching the Battle of Alberta, it looked like two evenly matched teams with one exception: Edmonton had Connor McDavid and Calgary didn’t. The rest of the players for the Oilers and Flames seemed to cancel each other out, one by one, but Calgary had no answer for McDavid. Not even on Mike Smith’s best night. McDavid was the difference, scoring all three goals for Edmonton — on a gimme of a rebound, on a breathtaking breakaway, and into an empty net for his hat trick in the Oilers’ 3-0 victory. Smith was a bright spot for the Flames, stopping 42 of 44 shots, including two early breakaways by McDavid. Smith fared much better than Brian Elliott in his Calgary debut last season when the Oilers torched Elliott a half dozen times. That’s the good news for the Flames. The bad news for Calgary — and the other 29 teams — is there’s no stopping McDavid. He spent the offseason working on his shot and his finishing ability and, as the commentators alluded to, McDavid appears even faster than last season. That’s frightening for every opponent, but especially frustrating for Calgary — knowing the playoff road has to go through Edmonton. Just like it did in the ’80s. No disrespect to Sidney Crosby, but an improved McDavid is primed to take over the title as the NHL’s best player this season. McDavid could score 50 goals, sweeping the Hart, Ted Lindsay, Art Ross, Rocket Richard AND Conn Smythe trophies. Yes, he’s that good. If you haven’t checked out my preseason predictions yet, here’s a spoiler: I have Winnipeg making the playoffs. The Jets, and particularly Steve Mason, didn’t make me look very intelligent last night, but that was only one night and I believe that 7-2 blowout says more about Toronto than Winnipeg. The Maple Leafs are scary good and will be making a lot of teams and goalies look that bad this season. Frederik Andersen was stellar early, and once the Leafs opened the scoring, the ice tilted in Toronto’s favour and the floodgates opened on Mason. Auston Matthews had a ho-hum three-point performance — paling in comparison to his four-goal NHL debut last season — and Patrick Marleau scored twice while looking 38 years young in a Leafs’ uniform. His first goal was a thing of beauty and will surely fuel the fans and media wanting Marleau on Matthews’ line instead of poor Zach Hyman. The Leafs were attacking in waves, though, and their bottom-six forwards — which includes Marleau as of today, not to mention 20-goal Connor Brown on the fourth line — skated circles around their Jets’ counterparts. That brings me to my next point. I’ve been beating this drum for some time, but NHL coaches don’t seem to be listening yet. Paul Maurice, in particular, is ignoring this trend despite Winnipeg’s obvious potential to ice four scoring lines. Nic Petan was in the press box and Kyle Connor has been banished to the minors. In their place, Maurice dressed Brandon Tanev and Andrew Copp, two checking-type forwards with limited offensive upside. Had Matt Hendricks been healthy, the gritty veteran would have been in Winnipeg’s lineup too instead of say Jack Roslovic, who has yet to get a real NHL chance despite leading the AHL team in scoring as a rookie last season. 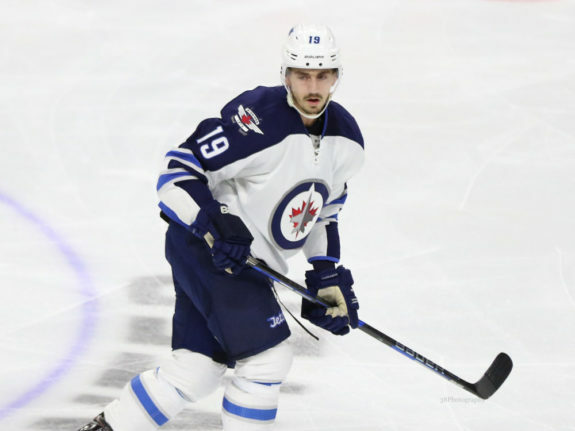 Nic Petan offers much more offensive upside than Brandon Tanev or Andrew Copp and he’s just as versatile. Petan can play centre or the wing, win face-offs and kill penalties, but he can also generate scoring chances as a playmaker, which is something Winnipeg was lacking on opening night. Not that the Jets’ top-two lines were firing on all cylinders last night either, but the bottom-two lines were a mess and clearly overmatched against the Leafs. Petan and Connor could have helped on the power play too. Winnipeg spent more than 10 minutes on the man advantage and came away with nothing (0-for-8). That lineup, in my opinion, would have held its own against the Leafs. Matthias and Lowry are kind of still checkers — comparable to Eric Fehr and Matt Martin for Toronto, though Matthias might have been Winnipeg’s most noticeable forward last night — but all four of those lines would be capable of creating offence. The Jets would be a threat to score for all 60 minutes — regardless of who hops over the boards — and I believe Winnipeg would win more often than not. Just a thought and one that I plan to elaborate on more, on a broader scope, in a separate piece sooner than later. 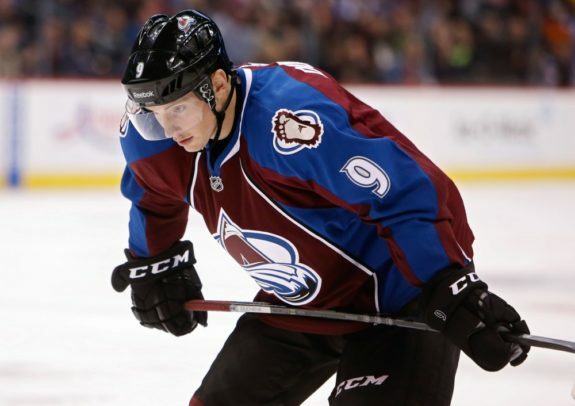 4) Duchene the New Drouin? Colorado Avalanche fans will be excited to watch the debuts of free-agent signings Nail Yakupov and Alex Kerfoot tonight. Those fans and the rest of the hockey world will also be surprised to see Matt Duchene centering the newcomers. Trade bait for what seems like forever now and clearly annoyed to be back in the fold for Colorado, Duchene is trying his best to stay professional while quietly going about his business in suiting up tonight with hopes that a strong start to the season will facilitate a move elsewhere. The thinking is, if Duchene can be productive under these uncomfortable circumstances, it should help fetch the ransom that Joe Sakic is demanding in return. Matt Duchene is looking for a way out of Denver and the better he performs, the sooner he’ll be able to pack his bags. Time will tell, but this whole situation reminds me of the Jonathan Drouin ordeal in Tampa Bay. Different in nature, with Drouin a younger player demanding a trade and refusing to report before eventually sucking it up and doing enough to get dealt. But similar in awkwardness, with Duchene not feeling wanted by the team that drafted him and now in limbo over where he’ll be continuing his career. Yet I wonder, if Duchene does get off to a hot start and the Avs aren’t hot garbage again — I think Colorado could surprise, at least early on and in comparison to last season — could Duchene and Sakic, the agent and the organization, kiss and make up? Could there be a happy ending to this saga that results in Duchene staying in Denver for the duration of his contract — two more years, this season and next — or even re-signing with the Avs? Or is a trade now inevitable and only a matter of time? 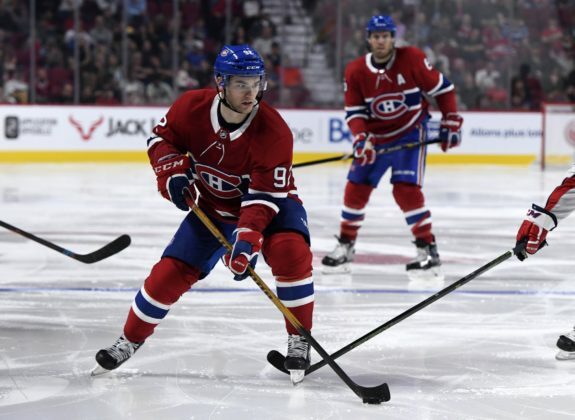 Jonathan Drouin in a Montreal Canadiens’ jersey is going to take some getting used to. It’s not hard to envision Matt Duchene in a different sweater, it’s just difficult to determine where he’s headed and when. As of this moment, I still think Duchene is traded by Christmas, if not by Halloween. There are too many teams in need of a top-six centre. Somebody will buck up. Columbus and Nashville are the likeliest landing spots for Duchene, in my opinion, but the Canadiens and Rangers could sure use a guy like him down the middle too. Duchene and Drouin, a 1-2 punch in Montreal? Ironic as that would be, I wouldn’t rule it out. Somewhere in the Metro seems more probable, though, with the Islanders and Penguins possibly still looking to make a splash as well. 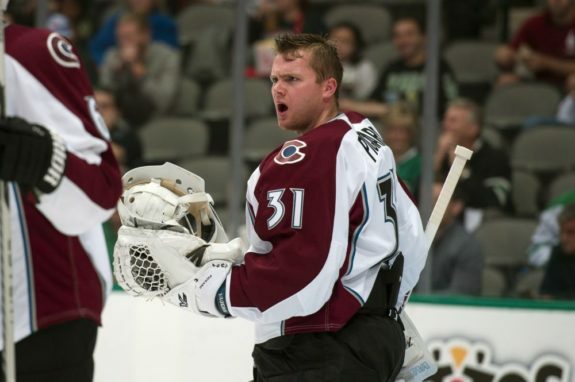 5) Pickard Becoming a Bruin? The Vegas Golden Knights are gambling on Malcolm Subban as a reclamation project in goal. They claimed the 2012 first-round pick from Boston and quickly decided that he’d make a better understudy for Marc-Andre Fleury than Calvin Pickard, who they chose from Colorado in the expansion draft back in June. Calvin Pickard can’t be happy about getting waived on the eve of the Vegas Golden Knights’ season, but he should have a new home and another NHL job by tomorrow afternoon, so life could be worse for the 25-year-old goaltender. As a result, Vegas waived Pickard on Thursday and a half-dozen teams are sure to be interested in upgrading their backup goaltender. Arizona, Toronto and Montreal immediately come to mind, but what about Boston? The Bruins have Anton Khudobin behind Tuukka Rask, which is why Subban went on waivers. That was a difficult (and delayed) decision for Don Sweeney, probably because Boston is trending towards a younger team and Subban still has starter upside whereas Khudobin is what he is — a veteran backup who offers more consistency in a limited role. If there was an internal debate amongst the Bruins’ staff about perhaps demoting Khudobin in favour of Subban, then Pickard should be a no-brainer. He’s more proven than Subban at the NHL level and could be something Khodobin won’t be — a successor to Rask. In a roundabout way, the Bruins would be swapping Subban for Pickard, assuming Pickard is still available to Boston in the waivers’ pecking order. If I’m the Bruins, I make that trade. Come to think of it, a trade might have made more sense in the first place. Subban for Pickard. Vegas starts its inaugural season in Dallas tomorrow night and there is still a fair bit of uncertainty surrounding the Golden Knights’ initial lineup. They demoted Vadim Shipachyov, Shea Theodore and Alex Tuch earlier in the week, not because they weren’t worthy of opening-night roster spots but because they were waiver exempt. It was a paper transaction that allowed George McPhee more time to shop some of his many extra bodies. 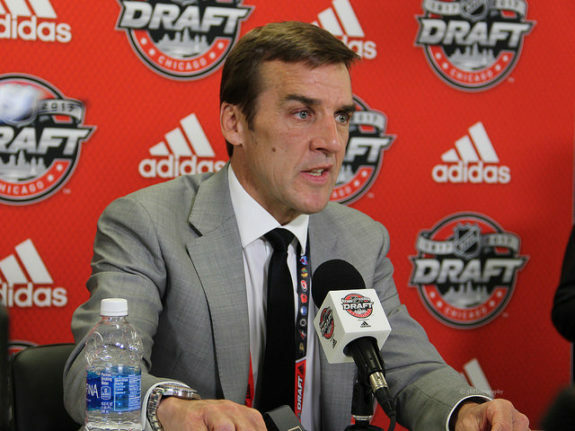 George McPhee must be getting antsy with no trades to announce as the clock counts down towards Vegas’ opener. If no trades present themselves overnight, will the Golden Knights leave those three behind when embarking on their maiden voyage in Dallas? Or will McPhee bite the bullet and waive all his extras to make room for his keepers? Some would call that poor asset management, to risk losing any or all of Griffin Reinhart and Brad Hunt on defence, plus William Carrier, Brendan Leipsic and Tomas Nosek as forwards. That is assuming the Golden Knights go with eight defencemen and 13 forwards, with Brayden McNabb and Jon Merrill staying as the 7-8 defenders. That is also assuming James Neal will be activated from injured reserve to force out another forward. Those five players would appear to be on the bubble and there may not be much trade interest at this time since most teams are content with their starting lineups. Teams probably won’t want to give up a draft pick for anybody other than maybe McNabb and/or Merrill, but McPhee would presumably prefer to keep those two. Reinhart and Leipsic could very well be claimed on the waiver wire since something for nothing is always nice. So what will the Golden Knights do? Smart money is on Shipachyov getting recalled to play in Dallas regardless of any other moves. He was signed to be Vegas’ first-line centre and Carrier wouldn’t be a huge loss as a waiver casualty — there’s less than a 50 per cent chance that he’d even be claimed. I would also bet on Neal being activated to face his former team. He’s the best pure goal-scorer on Vegas’ roster and goals will be hard to come by for the Golden Knights, so get him in the lineup as soon as possible. Nosek would be next on waivers — he’d be 50-50 to get plucked, though I’d lean more towards 40-60 still. 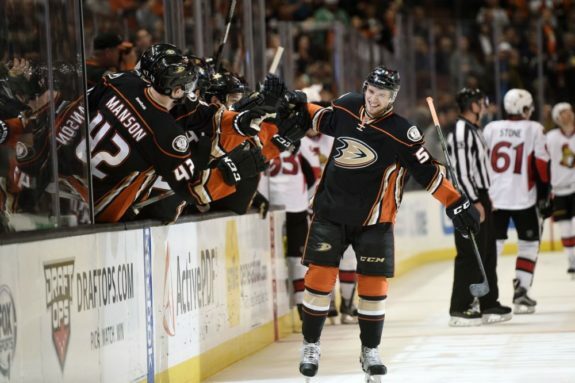 Shea Theodore hasn’t had a lot to celebrate in his brief NHL career, shuttling back and forth to the AHL as a member of the Anaheim Ducks. But he should be getting a golden opportunity to become not only a regular but an impact player for the Vegas Golden Knights. But what about Theodore, who should be in Vegas’ top four and possibly quarterbacking the top power-play unit? Or Tuch, who proved to be a power forward in the making during the preseason and could score some valuable garbage goals for a team that is expected to struggle offensively? Bringing them to Dallas would mean waiving Reinhart and Leipsic — both would be 60-40 or even 70-30 in favour of getting claimed. The other option is letting Theodore and Tuch marinate in the minors — continuing their development with the AHL’s Chicago Wolves — while McPhee continues to work the phones for a trade fit. Tough call, but if I’m looking back on arguably the most historic day in franchise history, I’d want to see all my best — or most important — players in the lineup for the first-ever regular-season game. Reality is, if Reinhart and Leipsic can’t make the opening-night lineup for Vegas and couldn’t crack the rosters of their former teams on a full-time basis, they probably aren’t going to be a huge part of the Golden Knights’ future. Theodore and Tuch, on the other hand, project as key figures for Vegas in the years to come. I would make sure they are in Dallas to experience opening night and to feel a part of the big picture from Day 1. I know a lot of Vegas fans and hockey people disagree with that sentiment. They would rather dress lesser talents in hopes they can be parlayed for futures — prospects and picks — at a later date, then recall Theodore and Tuch whenever that time comes. Theodore, especially, has become a lightning rod for that debate, but he probably should have been an NHLer already last season, if not for Anaheim’s depth on defence. He’s absolutely an NHLer based on Vegas’ depth chart and, therefore, he’d be in my lineup in Dallas. Feel free to weigh-in with your opinions in the comments below. Follow us on Twitter (@FacingOff_THW) and get in on the debate there too.